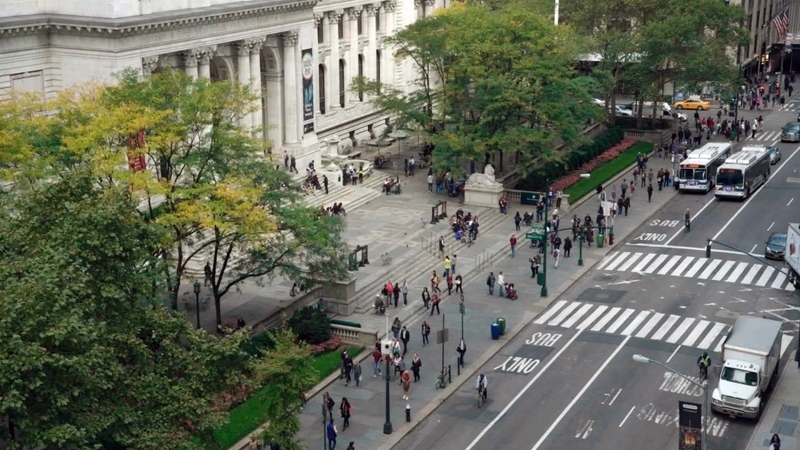 In his latest film, Ex Libris: The New York Public Library, Frederick Wiseman takes his camera into the boardrooms, auditoriums, classrooms and reading nooks of the various branches of the titular institution as it struggles to adapt to a digital present. The nation's flagship city library needs to strategize not only how to digitize rare books for future scholars, but also how to provide crucial connectivity to the three million New Yorkers who lack access to broadband Internet. Though the three-hour-plus film, in properly rigorous Wiseman style, refrains from editorializing about the library's ability to live up to its mission, Ex Libris does seem in awe of the workaday utopianism of this institution. As journalist Matthew Yglesias tweeted earlier this week, "If they didn't already exist, public libraries would strike people as the most outlandish left-wing idea." In a country where anti-intellectualism is politically ascendant, Wiseman's film seems impressed by the NYPL's commitment to educating the masses. The NYPL is, in fact, the product of a public/private partnership, and in many ways the film's subject is the porousness of that boundary. In Wiseman's film, a place stereotyped as a cocoon for quiet contemplation also becomes a zesty arena for civic discourse. At 87, Wiseman has delivered another generous, engaged, deeply political film about American institutions and inequality. With Ex Libris opening this week at New York's Film Forum, where the filmmaker is also participating in year two of a four-year retrospective, Wiseman spoke to Documentary by phone about the library, documentary style and the Zipporah Films funding model. Documentary: You are yourself the manager of a library, the Zipporah Films collection. And I first encountered your films in a library, which used to be the only place you could find Wiseman films on video. What’s the importance of this particular type of institution to your life and your work? 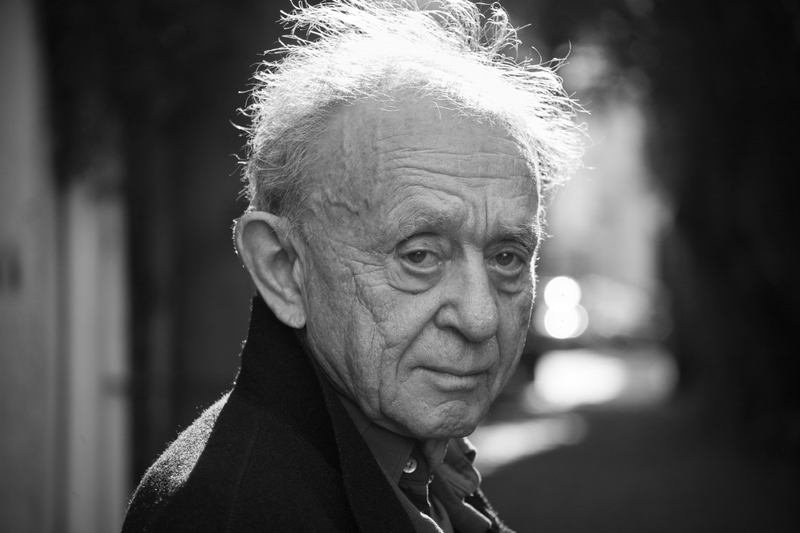 Frederick Wiseman: Well, when I was a kid, I used the library a lot in Boston and in Brooklyn, and also when I was in college and law school. But since I finished my so-called formal education, I didn't really use libraries very much. I tended to buy a book when I wanted to read it and I liked the idea of having books around. I just had the idea that a library might be a good subject for a film. I knew that the New York Public Library was one of the great libraries of the world, and so I simply called up Anthony Marx, who's the president of New York Public Library, and asked him whether I could do the movie. He asked me to come visit him, I had a meeting with him and he said, "Okay." In Ex Libris, we hear a lot about NYPL being a public/private partnership. What makes NYPL different to you than recent film subjects of yours like UC Berkeley or the National Gallery? Well, for one thing, the New York Public Library talks more about the distinction. Berkeley is thought to be a public university, but when I was there they were getting 11 percent of their money from public sources, public means, state governmental sources, and they were raising the rest of it from foundations and private contributions. And 30 years ago they were probably getting 50 to 60 percent of their money from public sources, whereas the New York Public Library still gets about half its money from traditional public sources like the city and the state. The administration of Berkeley, when I was there, didn't formally talk about the public/private partnership the way they do at the New York Public Library, I think in part because the idea of a public/private partnership goes back to Andrew Carnegie, who insisted on that when he gave money for the many different branches of the New York Public Library at the end of the 19th century. When I first heard that you were making this film, I expected that it would address the battle over the Central Library plan, which I've read about consistently in The New York Times and New York Review of Books, but it seems not to have been in the finished film at all. Did those events resolve themselves before you started filming? Well, it might have been in the film had I come across anybody talking about it, but I didn't, and the issue seemed to me resolved. They'd hired another architect, they’d abandoned the [architect Norman] Foster plan, and they were bringing back a large percent of the books that had been sent elsewhere for storage. So, the issues that were current several years before I made the film no longer seemed to be a source of such conflict. One of the things that fascinated me, perhaps because I didn't know so much about it in advance, was the way that the branches had been successfully converted to learning centers or community centers and how many different forms of activities that I didn't associate with libraries were taking place, and what an enormous contribution the library was making to the cultural and educational opportunities in New York. And so, I had heard the library described as a great democratic institution, and I recognized that in the wide variety of activities that I saw taking place as I spent time in the Schwarzman Building and a number of the branches. I think the film takes place in at least 13 different locations; there's the Schwarzman Building and at least 90 branches. Ex Libris is full of scholarship, but I was surprised not to see that many books in a film about a library. Is that an accurate indication of where the NYPL is now and where it's headed? Well, perhaps to some minor extent it's that, but there are only so many pictures of books you can show without making a completely boring movie. It's not because the contents of the books are boring but unless you know what the content is, it is not very interesting material for a film. The New York Public Library is such a complex place, you can make many different sorts of films here. As a result of my experience of being here, I didn't set out to do it that way because I didn't know enough about what was going on to make that kind of choice in advance. And in fact, I never make any choice in advance as to what the film is going to be. But I found myself drawn in the direction of the wide variety of programs that the library offered. I didn't mean to minimize the book collection or the archival work; I think the film doesn't spend as much time with that aspect of the library as it does with the community aspect and the educational and cultural aspect. You do a good job showcasing the library as a place where books and ideas come alive. There's that and there's a lot of discussion about ideas, and books that deal with those ideas. Richard Dawkins is invited to speak at the library; he's invited to speak because he just published a book. When Ta-Nehisi Coates speaks about his work, it's because he's just published a book that is available at the library. When Elvis Costello talks about his memoir, he's invited because he’s just published a book. That's one of the ways that I emphasize or point out the role of books. We see it as a place where books happen, where the research takes place, but also as a place where the books are discussed, such as in the Gabriel Garcia Marquez study group that we see in the film. Right, or there's a class about slavery and the ideas toward slavery in the 19th century. Anthony Marx, sort of like Chancellor Robert Birgeneau in At Berkeley, is trying to steer a revered institution through certain financial challenges. I know you shy away from central characters in your film, but is there something that fascinates you about the challenge of leadership? It does interest me, the challenge of leadership, but both Berkeley and the New York Public Library have leaders, or presidents, or chancellors, and they have important roles, so I would be not properly showing the operation of the institution if the film didn't deal to some extent with their work and their role as leaders. Do you identify with these leaders because you are the leader of your own institution? I'm sure you’re always facing financial challenges. That is the understatement of the year. My institution is somewhat smaller than Berkeley or the New York Public Library. I'm sure you have similar board meetings and conversations about negotiating public funding and private funding? Maybe you could make a Wiseman doc about Zipporah Films. Zipporah really doesn't have much of an active board, other than my wife and my sons, and that sort of film will never be made. Not with my participation. In your recent, New York-set films, you use street scenes to break up some of the longer sequences. Do you see these street scenes as transitional, or are they where the action is happening? Well, both. It's certainly transitional, but in In Jackson Heights, they're extremely important to give a sense of the neighborhood because you see people walking on the street, the clothes they're wearing, the gestures that they're making. You see what the stores look like, the way the stores are painted, the way the street vendors look, the music is coming out of some of the store windows. So, they're not only transitional but they're also thematic. And similarly, you see in Model, which is another New York movie which we shot all over New York, the street sequences serve a variety of purposes not only to show that we're moving from one part of New York to another to follow the work of the models, but also you see people walking along the street. And they're wearing clothes and they're wearing somewhat different style clothes than the models are wearing before publicity shots. And so, the street sequences become particularly important because they raise the question, What is the model? Is the model people wearing what may be described as "ordinary clothes," or the kind of fashionable clothes that you see in the ads? You used to have a reputation for focusing on broken institutions, but a few of your more recent films have been described as love letters. Have you been seeking out subjects that are closer to your heart? What I think I'm trying to do is make movies about as many different subjects as possible, and I think it's just as important to make movies about places that are working and are making valuable contributions or illustrations of people, plays or ballets, as it is to make a movie about a horrible place like Bridgewater, where I made Titicut Follies. My goal is to touch as many different and as a wide of variety of subjects as possible. So, if I made ballet movies or movies about National Gallery or the Library, it's only because I hadn't made them before. It's not a shift in ideological interest or a shift in ideological position; it's a different subject and it's a subject that interests me. I'm not an exposé filmmaker; that's not what I do. Nobody could make Titicut Follies and not show what a terrible place Bridgewater was. But at the same time, even in Follies, the guards, in their own rough-and-ready way, were much more tuned in to the needs of the inmates than the so-called helping middle-class professionals like the psychiatrist and social workers. So, my answer to the question is, because I'm trying to make movies about as many subjects as possible, and because I think it's important to show people trying to do helpful and useful and beneficial things as it is to show them doing horrible and cruel and vicious and mean things, I pick some things that illustrate all those possibilities. There isn't a lot of overt conflict in the film and yet it's very richly entertaining. Is there a challenge to editing a film that doesn't have a lot of overt conflict? Well, the challenge to editing any film is finding the proper themes and the rhythm. But no, because the conflict that's expressed in Ex Libris is more of the kind of conflicts that exist generally in society. There are a lot of suggestions of conflict in relation to immigrants and in relation to racial issues and the history of the racial issues. In one sense, the movie's about New York. Not exactly a place devoid of conflict. Yeah, and the different social classes and the extremes of wealth and poverty. Conflict is more implicit, but it's there. I think asking the viewer to look for it provokes a deeper level of engagement. I'm glad to hear you say that because that's what I think as well. I've heard you say that you don’t watch many films. Is there a reason for that beyond you being really busy? I work a lot and just sitting in front of my editing machine 10 hours a day, I don't necessarily want to go to a movie. I go to the theater a lot and I go to ballet a lot, but I don't go to the movies a lot in part because there aren't a lot of good movies coming out these days—at least that's my impression. Getting documentaries funded is difficult. Would you recommend the Zipporah Films model, where you have close ownership of your product, to young filmmakers? Well, it would be presumptuous of me to recommend anything to young filmmakers, or any filmmakers. It depends what your interests are and how you want to spend your time. I don't like the idea of having to deal with other people about the subject matter or the content of my films so I'm willing to take the time to find the money with no strings attached, so I do that. I don't want to recommend it or not recommend somebody else do that because it depends on what they want to achieve. For some kinds of movies you need so much money, you have to be dependent. If you're making a fiction film you need a lot more than you do for documentary, so you may have to approach it differently. I don't make judgments about how other people raise their money or what they achieve with the money they've raised. But the model has worked for you? The model has worked for me, yeah. It requires a lot of work, but it definitely has worked for me. The title of Ex Libris is unusually descriptive/allusive for you. Is the title something you thought about? Well, I like to think so. It could have been called Library. It could've been, but it amused me to call it Ex Libris. But also, I didn't call it Jackson Heights; I called it In Jackson Heights. I didn't call it Berkeley; I called it At Berkeley. And one of the reasons I chose Ex Libris, apart from the fact that it amused me, was because they're such complex places that I didn't want to in any way suggest that it was everything about them. Are you implying that Meat included everything about meat? No, but you know, I didn't maybe think about it in the same way. I think I called it Meat because it amused me. Domestic Violence 2 is the most unlikely sequel title I know of; it sounds like a bad horror movie. Think of the subject matter. Someone came and begged you to do a sequel? I'm sure that’s not how it panned out. No, but the title's a joke. I'm thinking about one but I'm also secretive about what I'm doing until I do it. Akiva Gottlieb is IDA's communications manager and associate editor at Documentary magazine.